Zetica has undertaken many UXO investigations for a wide variety of sites for a wide selection of clients having a wide risk tolerance range. Using innovative and pragmatic solutions to manage the UXO risk, ZeticaUXO’s involvement tends to reduce the client’s programme time and costs with respect to UXO hazards. A small selection of examples of typical work is given below. 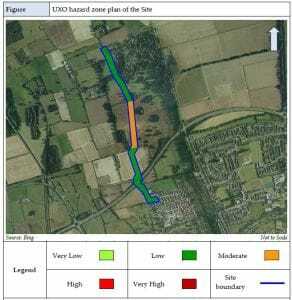 Zetica was asked to provide UXO services for a proposed sewage scheme in the East of England. As a first step, we undertook a pre-desk study assessment to determine whether a source of UXO hazard may be present on the site. Although the area in question was not heavily bombed, records indicated the presence of former army barracks nearby. It was considered that the area may have been used for military training and therefore a detailed desk study was recommended. Zetica’s detailed desk study confirmed that part of the site had been used for military training activities during WWII. Through the use of aerial photography, we were able to identify potential impact areas where the probability of encountering UXO was likely to be higher. We were therefore able to confidently zone the site as a low to moderate risk. In the moderate risk areas, Zetica was asked to undertake a non-intrusive UXO detection survey and target investigation to mitigate the UXO risk on the site. A number of potential UXO targets were identified and on investigation, a total of 36No. UXO were found, including 2″ mortars and grenade base plugs. The target investigation confirmed the findings of Zetica’s desk study and, with confirmation of excellent detectability of UXO, we were able to reassure the client that the remaining UXO risk on the site was low. 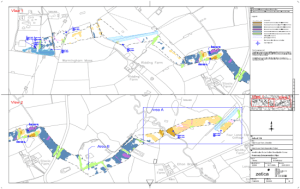 ZeticaUXO was asked to undertake a detailed desk study in order to assess the potential UXO hazard for a 255ha area of land in the Thames Estuary. Our desk study and risk assessment identified that some areas of the site had a high probability that UXO could be present. These were identified on a risk map which provided zoning of the risk identifying low, moderate and high risk areas. 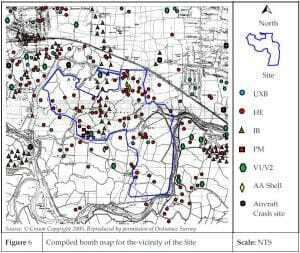 Of particular note was the potential for a large unexploded bomb (UXB) be present as a result of a series of bombing raids for which records indicated that one bomb did not explode. Efforts at the time to locate it had failed despite several attempts. 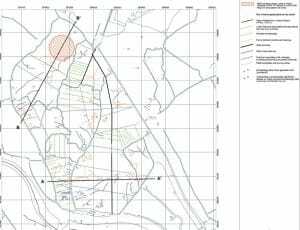 In order to confirm the findings of our desk study and risk assessment, we undertook a non-intrusive geophysical survey in order to try and locate potential UXO and in particular the UXB which was anticipated as being within an area proposed for excavation. 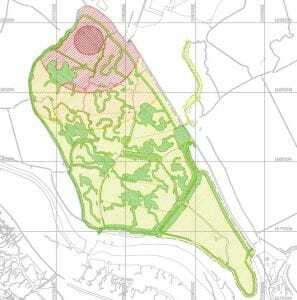 The 255ha site was surveyed using ZeticaUXO’s TOAD system. The survey was completed in 6 weeks with a number of significant targets identified. We also characterized geophysical noise across the site in order to zone areas where UXO detectability was less than anticipated. Given the identified hazard from the desk study research, Zetica was asked to intrusively investigate those targets that were characteristic of a UXB. A disposal plan was implemented involving the relevant authorities (including the MoD) to ensure that adequate support procedures were in place should a UXB be found. 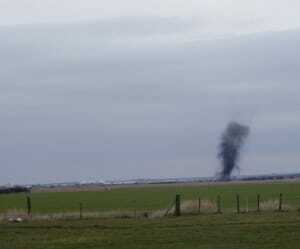 Zetica investigated the identified targets under supervision of an Explosive Ordnance Clearance (EOC) Engineer. 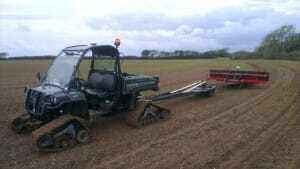 A 500kg UXB was uncovered and, as a result of the detailed planning, the UXB was disposed of in-situ with little fuss. 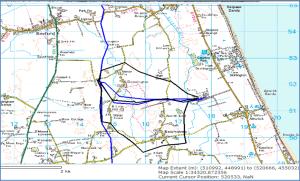 As part of the pre-construction surveys to inform pipeline and cable route design and planning requirements, a number of non-intrusive surveys are typically required for archaeology, existing pipe detection, ground stability, cathodic protection, UXO and many other issues relating to construction. 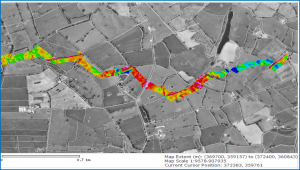 Using its wide-ranging inhouse capability, ZeticaUXO assessed the various requirements of the surveys and created a towed integrated geophysical survey platform (TOAD) incorporating our data acquisition system (ZDAS). Pipeline routes could then be surveyed in a single sweep with a range of electromagnetic, magnetic and natural gamma instruments, integrated with GPS, on a single platform. The results were a single survey that not only provided the location of potential UXO, but also changes in geology, groundwater, location of buried waste, archaeological features and utility services. 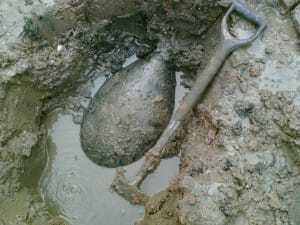 Not only did this negate the requirement to undertake additional separate surveys (therefore saving on survey costs and management time), but by integrating and reporting the datasets together it was possible to provide better interpretation to corroborate the identification of objects, thus adding more value to the surveys. Zetica was asked to provide UXO support services for a site in Kent which a UXO specialist had identified as having a site-wide moderate to high risk of UXO encounter. A non-intrusive magnetic survey was undertaken to identify ferrous targets that may have been UXO. 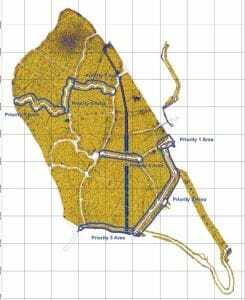 Specifically, WWI bombs were targeted due to the former use of the site as a WWI bombing range. Numerous magnetic anomalies were detected by the survey and Zetica’s geophysicists modelled the profiles of individual targets to determine which ones had characteristics similar to the type of UXO anticipated. 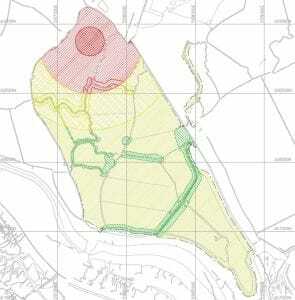 Through this discriminatory modelling process, we were able to confidently predict the areas where UXO encounter was most likely and could therefore provide a more accurate zoning of the UXO risk on the site. In particular, we were able to delineate the area used for the WWI bombing practice. This allowed the client to concentrate their intrusive works in areas with a lower risk category. As a result, ground works began much sooner than was anticipated and a safe, phased development was put in place.